Experiencing the living tradition of Gjirokastra, is a Day visit. 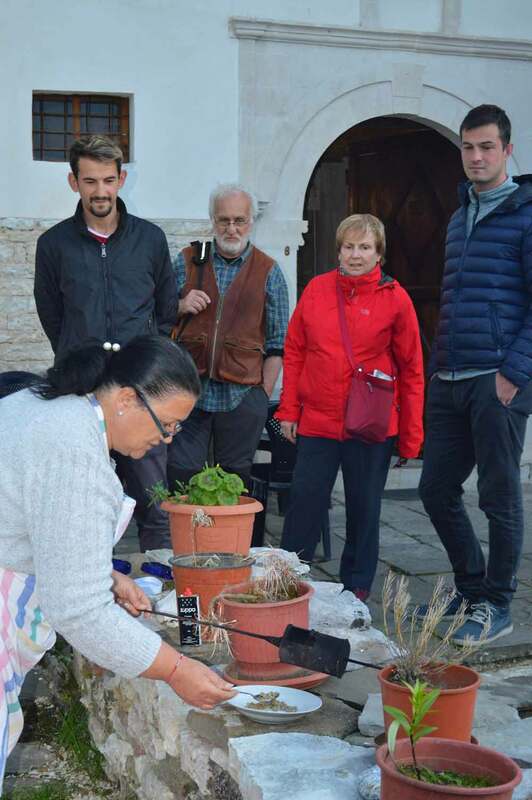 The visitors are Introduced to the history and heritage of Gjirokastra such as the: ancient handicrafts and artisan traditions; the mastery of home made food; the unique architecture of the Gjirokastra; the challenge of restoration and preservation of the authenticity. Visiting the Babameto house – An example of revitalization in effort to save the City of Stone. Evening of entertainment and traditional dinner at the 19th century Babameto House, cooking, dancing, and singing together. Learn iso-polyphonic singing and traditional dancing. Accommodation: Babameto House or similar. Traditional breakfast included.